Description: Nahri has never believed in magic. Certainly, she has power; on the streets of 18th century Cairo, she’s a con woman of unsurpassed talent. But she knows better than anyone that the trade she uses to get by—palm readings, zars, healings—are all tricks, sleights of hand, learned skills; a means to the delightful end of swindling Ottoman nobles. 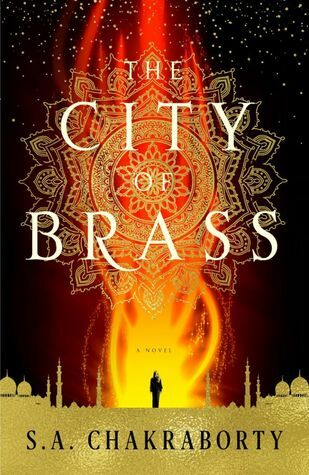 Review: The City of Brass is a rich Middle Eastern fantasy series opener. The story is told from two points of view. Nahri is a young con woman who lives on the streets of 18th-century Cairo. She has the unique ability to diagnose and heal diseases without any proper training and uses this talent to swindle Ottoman nobles by pretending to wield supernatural powers she doesn’t believe in. During a exorcism con gone wrong, she accidentally summons a mysterious djinn warrior named Dara, whose magic is both real and incomprehensibly powerful. Dara insists that Nahri is no longer safe and they must travel to Daevabad, a legendary eastern city protected by impervious magical brass walls. At Daevabad Nahri is astonished to learn that she is the daughter of a legendary healer of the Nahid family, a once powerful family who ruled Daevabad until it was overthrown by the Ghassan clan who stole Suleiman’s seal, which nullifies magic. It is very surprising and suspicious when the current Ghassan king welcomes her. The second point of view belongs to Prince Ali, the king's younger son, Prince Ali, who is caught in between fealty to his father and the throne and his moral duty to help the Shafit, the lower and oppressed class of djinn who are of mixed blood of djinn and humans. The City of Brass is a complex, multilayered story that centers on the kingdom's deeply divisive religious, political, and racial tensions. The world building is excellent as clues are sprinkled evenly throughout the story will leaving mysteries that need to be solved. I loved the inclusion and infusion of Middle Eastern culture throughout the novel. Though Daevabad is fictional, I can see how different Middle Eastern countries and cultures have influenced it, which is credited to the author's attention to detail and her research of this geographical region. The magic and terrifying creatures used in this book feel new. I am thrilled that this story is fresh and original and not a derivative of Game of Thrones with a dash of djinns instead of dragons. My only complaint is that I wish the glossary was a bit more fleshed out particularly with the various djinn tribes whose names can be confusing at times. 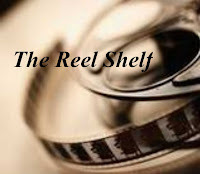 The characters are flawed, three dimensional, and enigmatic. There are many times where the characters surprised me with their actions and unveiling a part of their backstories made my opinions of them change constantly. These characters are not kept in clean boxes of good and evil. Nahri is a cunning and fiercely independent woman. Though she can hold her own in Cairo, she is very much a novice in Daevabad and has to learn how to play the court's political game in order to outwit the king who would very much want her to be his pawn. Similarly, Prince Ali is constantly questioning how Daevabad should be ruled much to the chagrin of his father who rules with an iron fist. Dara’s emerging history and personality grow more and more bewildering and ambiguous. The story's pace is a bit slow going as we learn along with Nahri as she journeys to Daevabad, but once she is at court the story takes off. There are a few character inconsistencies (mostly new information about the characters that appear out of nowhere without any hints or allusions) and subplots that are not flushed out as I had hoped, especially with Prince Ali's older carefree brother, but they didn't take my enjoyment away from this story. I just wanted to know more and I hope we do because there were huge reveals in the end along with a shocking cliffhanger that has me on the edge of my seat. I can not wait for book two. Words of Caution: There is strong violence and language in the book. Recommended for teens and adults. Wow! 4.5 rating. It sounds a little too magical for me, but what a great book for teens who enjoy fantasy! Oh I am always on the lookout for a good fantasy. Will have to see if my library has this one! This is completely new to me but I know if you loved it then I really need to try it as well. Wonderful review, this sounds so intriguing!